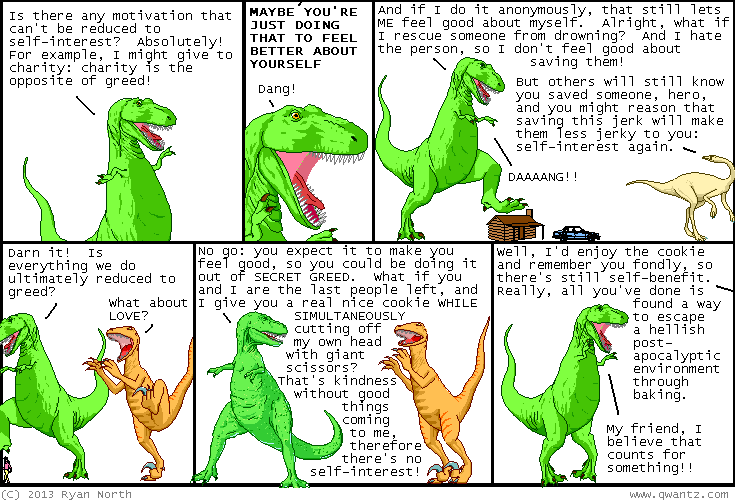 Dinosaur Comics - February 6th, 2013 - awesome fun times! One year ago today: i know there are poets who love my comic. i'm sorry, i know there are poets who LOVED my comic.